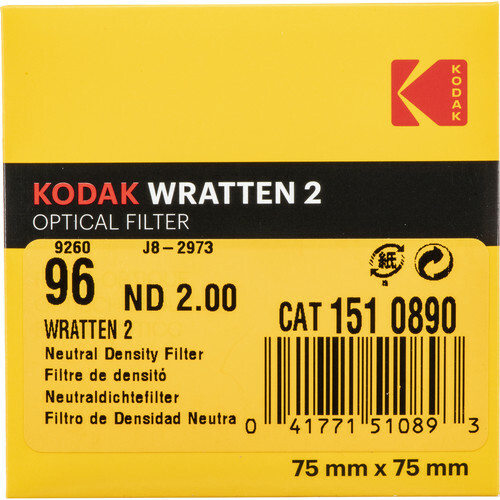 The Kodak 3 x 3" Neutral Density (ND) #96 2.0 Optical Gelatin Wratten 2 Filter has several uses and offers the possibility to achieve otherwise unachievable results. 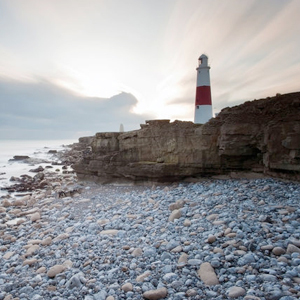 ND filters appear grey and reduce the amount of light reaching the film. They have no effect on color balance. Box Dimensions (LxWxH) 3.7 x 3.6 x 0.2"
3 x 3" Neutral Density (ND) #96 2.0 Optical Gelatin Wratten 2 Filter is rated 5.0 out of 5 by 2. Rated 5 out of 5 by Evermorian from Nothing Like It I am using this in the rear filter slot of a 10.5mm Nikor fisheye lens to help reduce shutter speed for various immersive VR panoramic landscape photography projects. 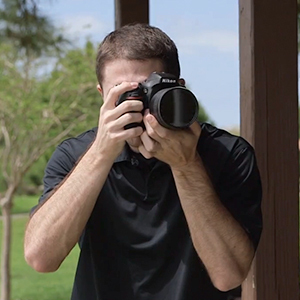 With no way to mount filters on the front of such a lens, this is the only way to go if you want, for instance, to get a longer exposure on flowing water in full daylight. How thin are these Wratten 2 filters compared to the original Eastman Kodak Wrattens? If proper care is taken, I'm just curious as to the longevity/ quality of these filters? Will they last more than 6 months? Many years? In our experience the main danger to longevity is water or solvent damage. The other issue would be if they become scratched. In a good clean environment I would expect you to get several years use.